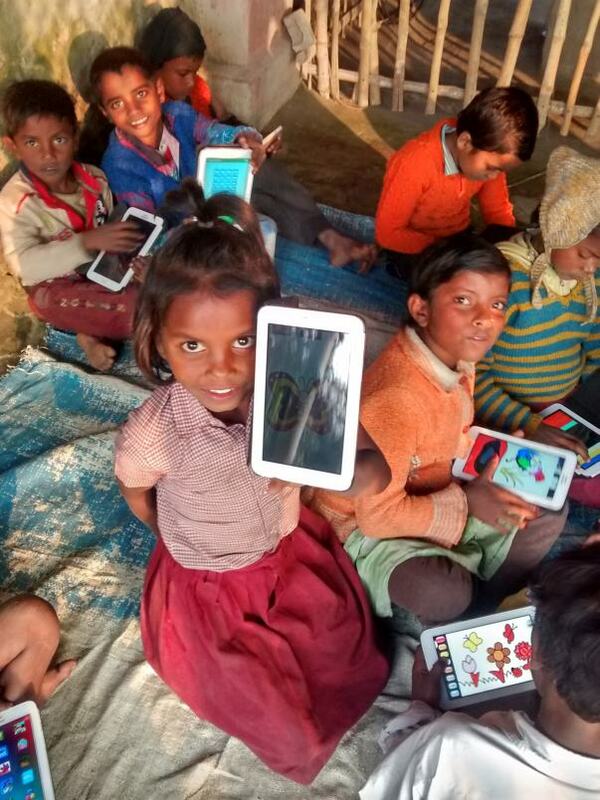 We have a dream to provide world class education through digital media to the children and youth of north Bihar. In the first year, 250 children from rural set up would gather incremental knowledge at out centre. 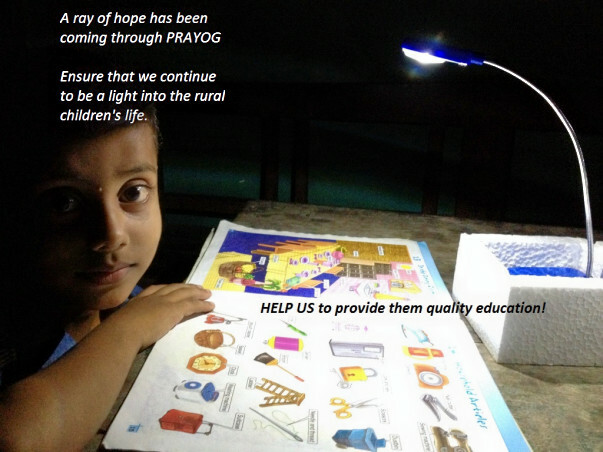 PRAYOG started as an initiative in June 2013 and was registered as a Trust in November 2013. Head office is based in Patna and operates in Kuchaikote block of Gopalganj district. 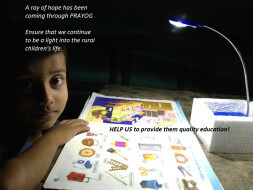 Currently works for value based education amongst children between 3-15 years old, all studying in Government schools. Founded by four youths living in different corners of the world who wish to see a changed world and works to bridge the gap between education in urban and rural setups by giving access to proper resources, enabling rural children to think via value based education, ensuring exposure to the outside world and creating forward linkages so that education results into proper livelihoods for all. We are now planning to start a proper learning centre for 250 children of this set up. Girls who have passed out their matriculation have enrolled for higher education in colleges that are 20 – 25 kms away. These are the colleges where reaching through public transport (shared jeeps etc) is time taking and expensive. It would cost Rs.50 daily only for commuting and parents discourage girls to attend classes. The girls are helpless and are forced to appear only during exams. Life of girls who should enjoy college is hence restricted for domestic help only at houses and hence early marriages (before they reach 20). Every year, 5-6 girls from each village pass their matriculation and go through this phase of life. In Prayog’s catchment area of 12 villages, we are planning to facilitate their daily classes through ‘ e-volunteers’ and internet based study materials. 50 girls would benefit through this in the first year. We are now looking to establish a proper platform for imparting direct education and we have reasons mentioned above. You can also go through the link below that depicts our trajectory and motivation to dream and work hard. We are in need of Rs 500000 (Five Lakhs) to set up this learning centre. Rs. 2000 (Rs. Two Thousands) is what it would take for 1 child to get this facility in a year. 1. What place would this initiative run? This centre would be based in Gopalganj district of north Bihar. 2. Who would be the beneficiaries? 3. Would my donation be tax emempt. 4. Has any previous donation been made? 5. By when would this initiative take place on ground? 6. How would the operational costs be met? First of all thank you so much for sparing your time and having faith on what Prayog has been doing. I had put up this campaign in August 2015 and waited for nine months to see whether we can raise enough money for the proposed project. The amount was not very high but there are not many people who believe in 'giving' as you do. Hats off to you and your willingness to help out, I know most of you have helped us only on hearing about our works through friends/relatives. We could raise Rs. 60,155 of the target of Rs. 5 lakhs. This was on Milaap, and another Rs. 55,000 was directly sent as donations to Prayog's account. Together, this still left us with only one fifth of the projected budget. We have already procured devices like laptops (3), invertors (3), speakers (3) etc with other funds we had. Your contributions have not yet been withdrawn from Milaap and we would like to confirm from you whether we can use your donations for the proper implementation of our digital education programme with the Government schools. In case you think that your donation amount should not to be used for this cause, please send in a mail to us at prayoginbihar@gmail.com. Your donation would be returned or utilized in any other field/activity that you wish to support. Looking forward to hear from you all soon and shall keep yous posted as we start with the digital education platform for underprivileged children in Government schools. Thank you once again!